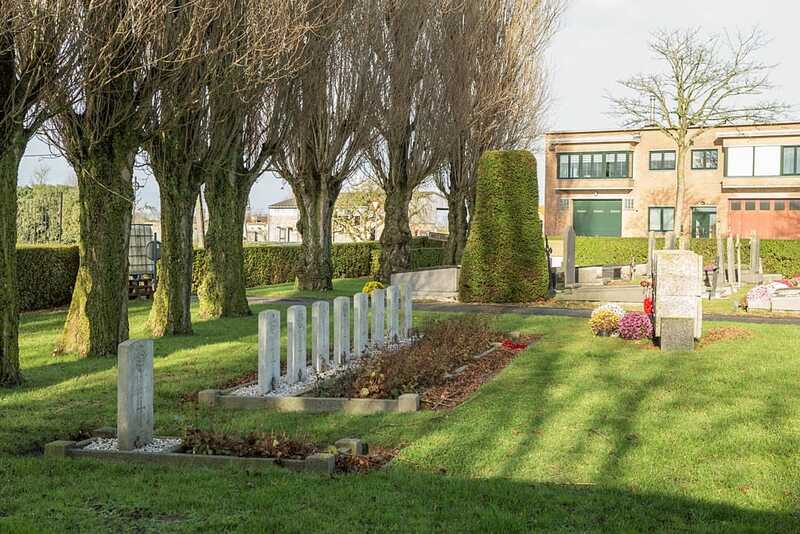 Sint-Joris Communal Cemetery is located 3 km east of the town of Nieuwpoort on the N367, Brugsesteenweg. 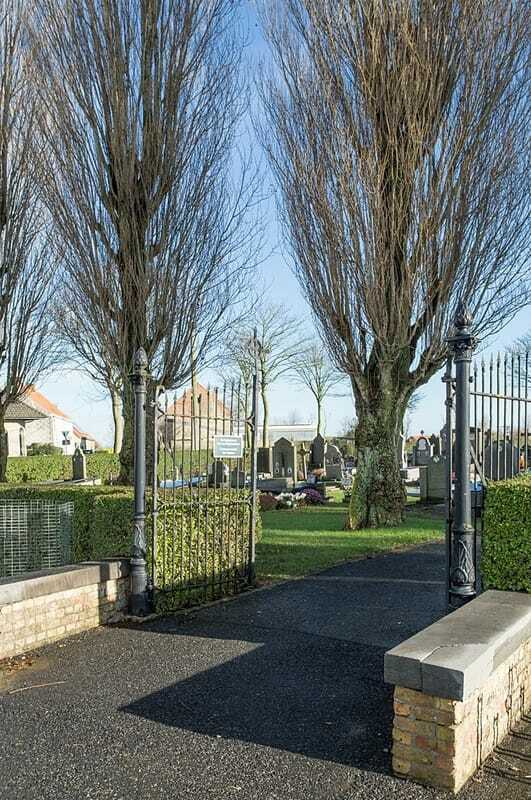 The N367 begins at the Achterhaven and is a continuous road to the village of St. Joris. 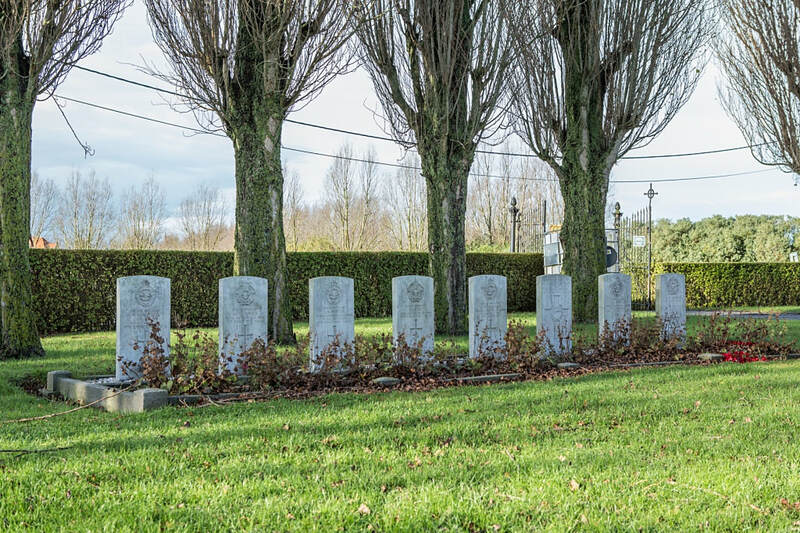 On reaching the village the cemetery is located 1 km further on the right hand side of the road. 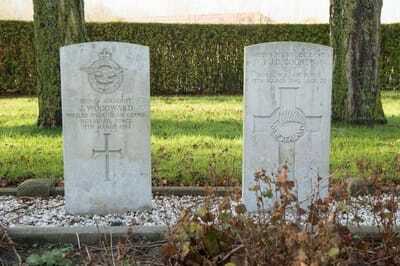 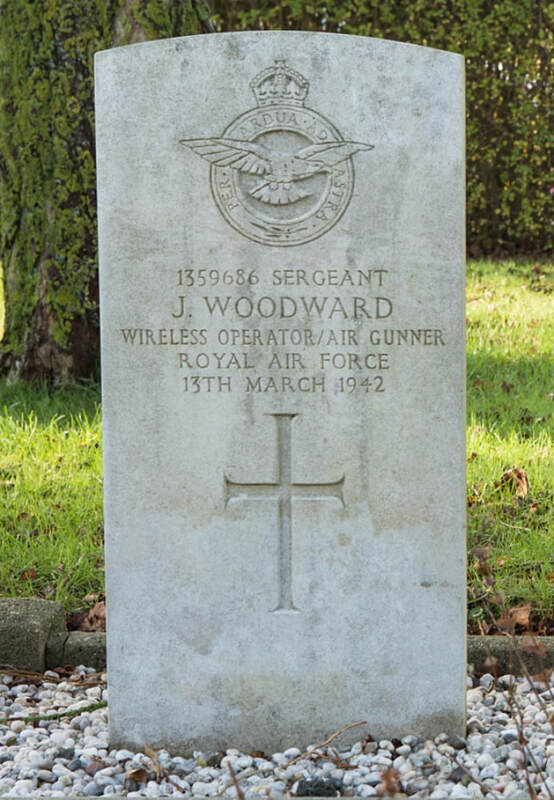 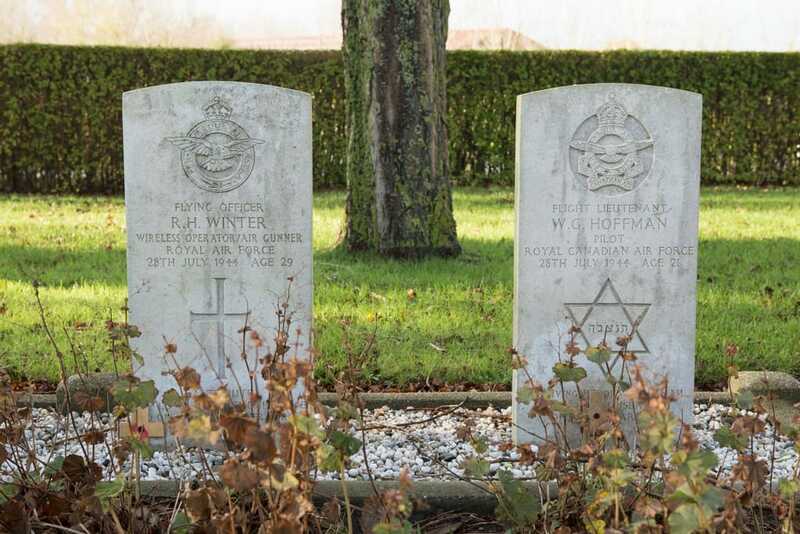 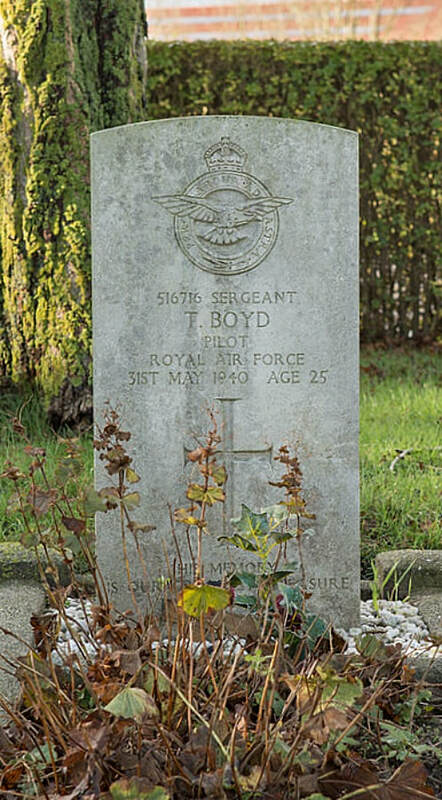 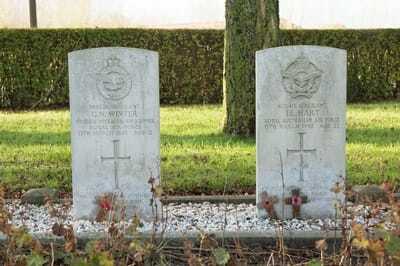 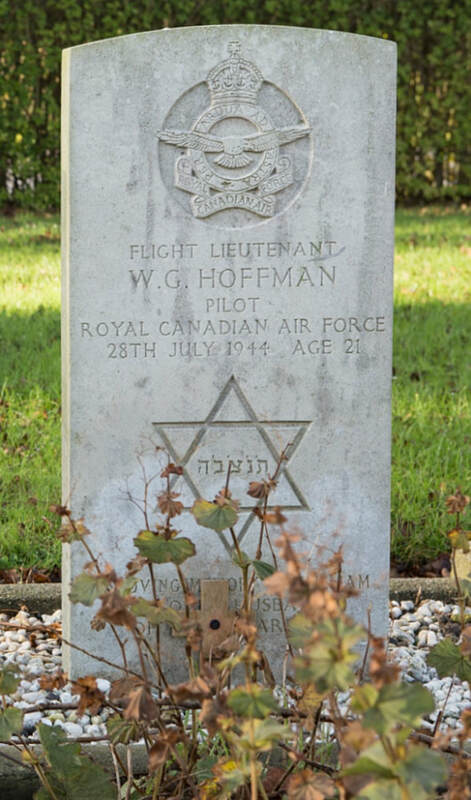 St. Joris Communal Cemetery contains the graves of nine Commonwealth airmen of the Second World War. 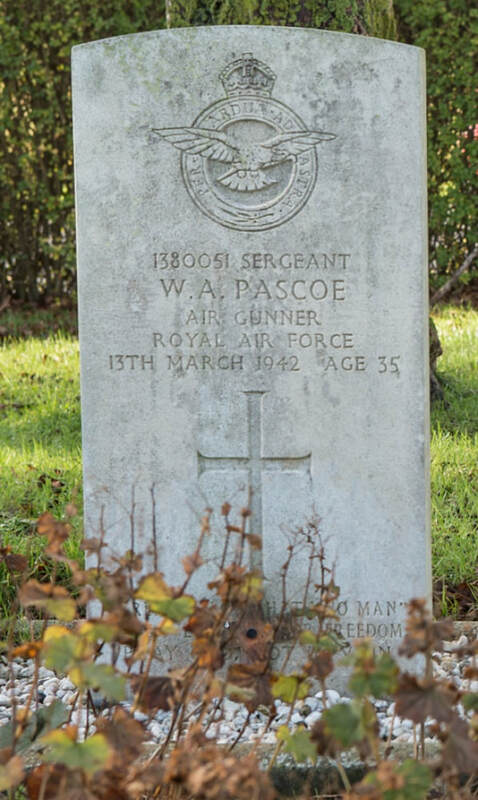 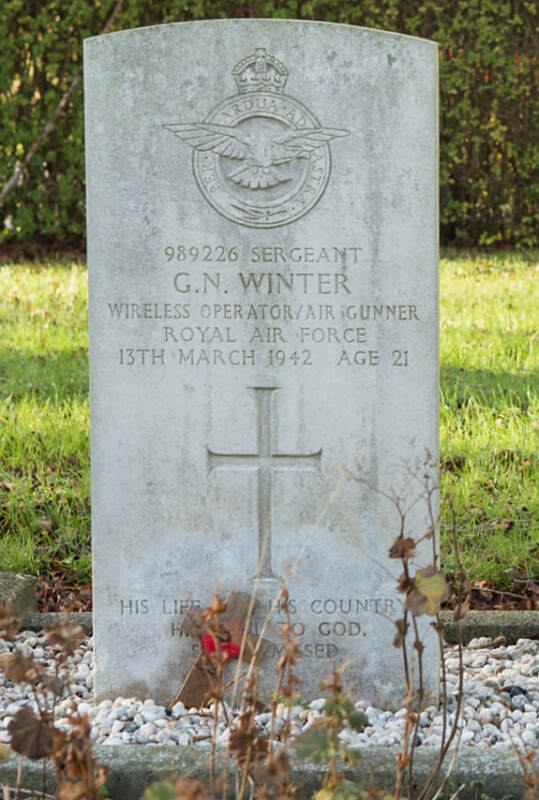 13th March 1942, aged 28. 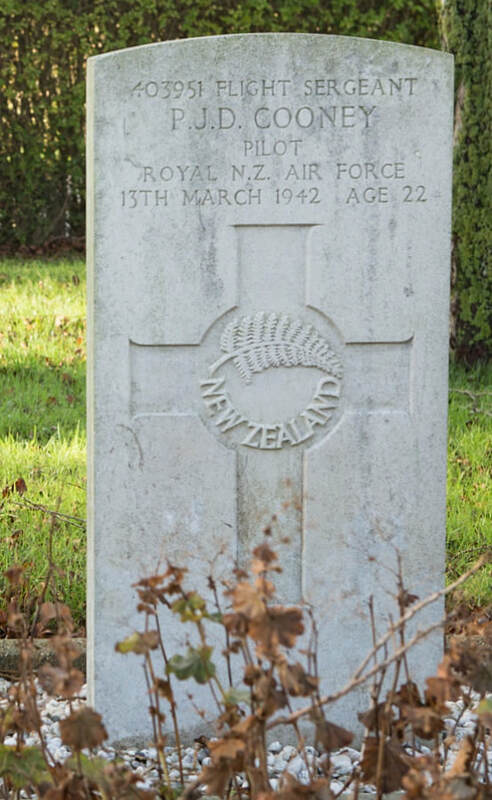 Inscription "The Lord is my Shepherd"
Son of John Howard Turnock and Blanche Turnock, of Tweed River, New South Wales, Australia. 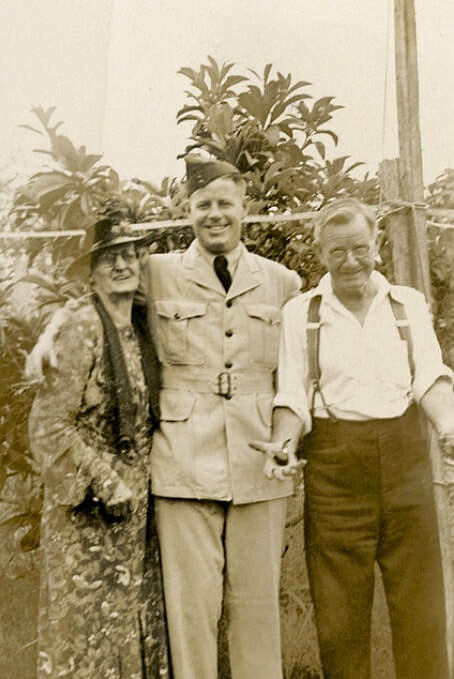 Informal portrait of 404688 Sergeant (Sgt) John Sivyer "Siv" Turnock with his parents Blanche and John Turnock, in their garden at Tweed, NSW. 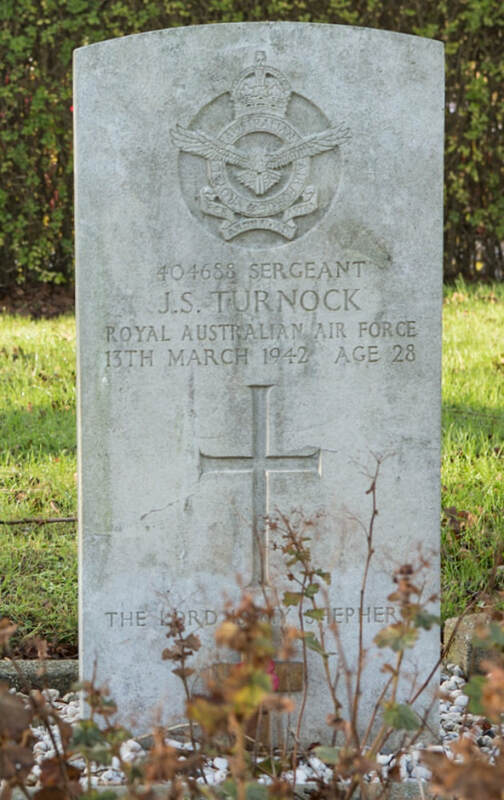 Sgt Turnock enlisted on 8 November 1940 and following pilot training, initially in Australia, then in Canada, he was posted to 460 Squadron RAAF. 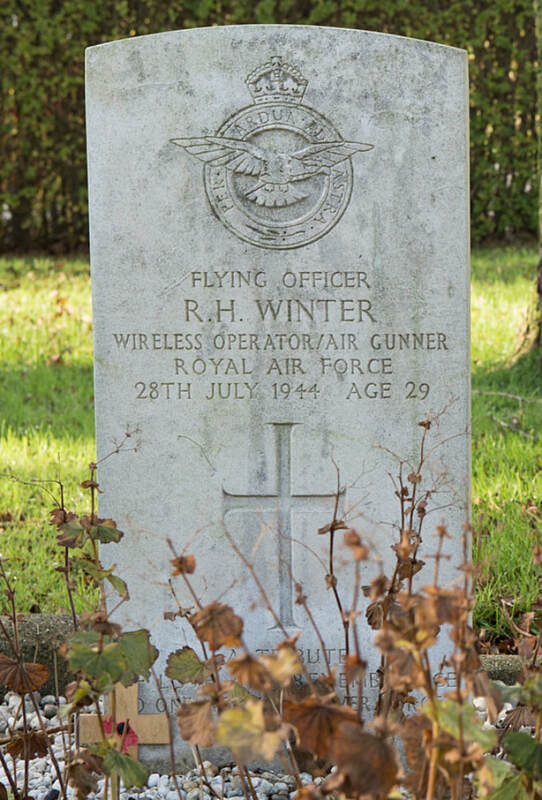 On 13 March 1942, he flew on his first mission as co-pilot with UV-X Wellington Z1251, one of five aircraft destined for a raid on Ostende. 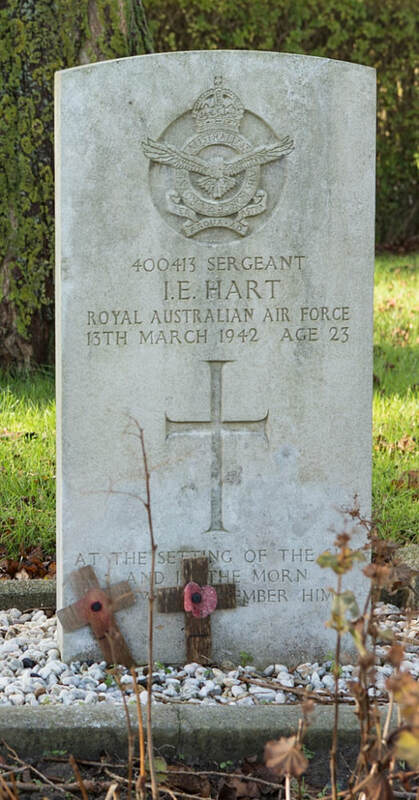 The crew was 403951 Flight Sergeant (Flt Sgt) Patrick John Denis Cooney, pilot, RNZAF, Sgt Turnock, 2nd Pilot, RAAF, 400413 Sgt Ian Eric Hart, observer, RAAF, 1359686 Sgt Jack Woodward, wireless operator, RAFVR, 989226 Sgt George Norman Winter, air gunner, RAFVR and 1380051 Sgt William Allan Pascoe, air gunner, RAFVR. 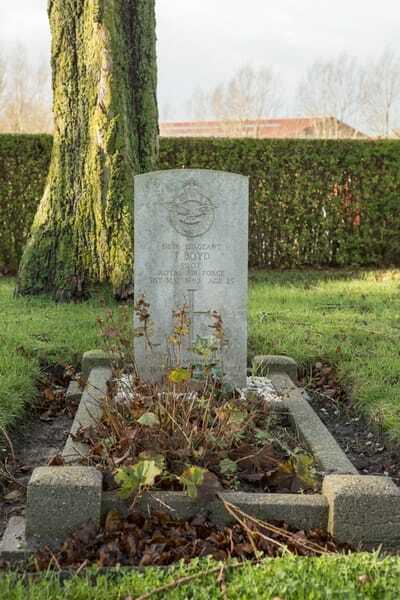 The aircraft crashed near St Joris and all the crew were killed. 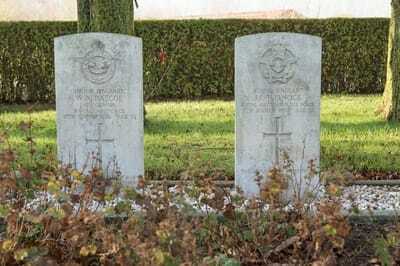 Local people retrieved the bodies and buried them the same day.